In FTM 2017, when adding a picture, do you link to the media or allow FTM 2017 to make a copy and link from there? Use the COPY option,when adding a New Media File to your FTM2017 file. It's another COPY of your / my valuable images. When I take a photograph, scan an image, I do NOT want to touch that file again. I always want to work with a COPY of it. I might want to crop that image, resize it, change it's looks. I have messed up in that past, and I am guessing others have as well, but that is OK, because I am working with a copy. The same goes when adding a new media file to Family Tree Maker. There is another reason from the above, and that is when you do a Compact and Back Up, the Media Folder, where that COPY is saved, will be included in that Back Up. Using the Linked option, will only include a LINK to that Media file. IF you were to send a Back Up file, with Linked Media, those Media Files will not be included. When that sent back up is restore, those Media files will be missing. Why the difference in the Number of Media Files ? FTM2017 User Question - Where to start a FTM2017 File ? 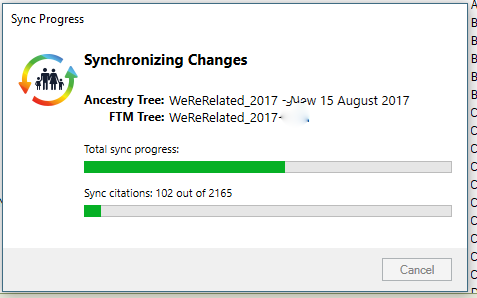 Would you rather start your tree on FTM 2017 and sync to Ancestry or start in Ancestry and sync back to FTM 2017? It is my opinion that WE, the User of this or any other genealogy software, need to take responsibility for our research. That starts at the beginning. The short answer is start with your genealogy software, in this case Family Tree Maker (FTM2017). Further, that includes manually Backing Up our files, and from time to time, doing a test Restore from Back Up. The Tools menu, has a great utility to do this, Compact File. As I have blogged about many times before, using that utility will help maintain a good file. Testing that Back Up from time to time is a MUST. Then the FamilySync™ feature comes into play. As I have blogged about before, in order to get Ancestry Hints, you must have an uploaded and linked Ancestry Member Tree (AMT). That AMT can be Public, Private, or Private and not searchable by Ancestry. User Choice. That AMT then, can be another Back Up of your research. BUT, some of the information in your FTM2017 file is NOT included in that AMT. Privatized Media, for example, will NOT be uploaded to the AMT. Privatized Facts, Notes, Research Notes, Todo or Task Lists will NOT be uploaded to the AMT. If you use the Source Template Feature in FTM2017, those Sources and Citations will NOT be formatted correctly in the AMT. All of that to say, my Best Practice is to Compact and use the Back Up feature, all check marks along the way. Backing up to an External Drive (NOT a Flash Drive, but External Hard Drive) is another best practice. If your Hard Drive crashes, which it will, your information is on an external drive. Also, doing a Restore from Back Up from time to time, once a month for example, is another Best Practice. One additional Best Practice, for me, is to have my Hard Drive AND External Drives backed up to a Cloud Service, like BackBlaze. will back up your external drives as well. All done in the background. And, to a restore from there as well. 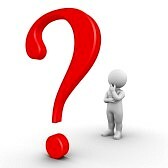 A reader asked me this question: I created a media category and added a media item to it. Later I realized it really belonged in a different category and moved it. That left an empty media category I never planned to use again. So, can you delete an empty media category? Do I add an Unknown Name from DNA Results ? How do I add a DNA Cousin, but not sure IF this person belongs in my database, but want to add the information anyway. Now that we have been using the new interface to Ancestry.com, using the new FamilySync feature, I have an observation. This observation has changed "WHEN" I use the FamilySync Feature. This observation comes from being aware of how long it takes to do a FamilySync. I have found that the more citations that I am working with, the longer the Sync process takes. Instead of doing a Sync every two or three hours, I am doing it about every hour. In this example, I had been working a couple of hours and ended up with syncing 2,165 Citations. My observation is that the Sync takes longer. File, Back Up, again adding the Time to the Back Up Filename. At the End of the Day, File, Close, File, Exit. After a computer crash, I learned something about the new, FTM2017 Back Up, FamilySync, and Restore features. I have changed my Best Practices when doing a FamilySync. That is to do a Compact File, including the Back Up feature, both before and after the SyncNow. As a follow up on the Find Duplicate People Report, this time it is for a Duplicate person that does NOT show up in the Find Duplicate People Report. I was asked "How to I get my FTM2014 file from an Old Computer onto my New Computer with FTM2017 installed. This will probably become one of several blog posts on the Find Duplicate People feature in Family Tree Maker. In this first case, I already have a Saved List of Duplicate People that I am working one. I will review the information that I have and make a determination as to my next steps. When you add a source on the Ancestry side of a tree there is a field titled 'other information'. Do you know where or if this information shows up in FTM on the desktop? I think that the field "other information" has been removed from the Ancestry Member Tree Citation window. I thought that I would do a blog post showing the Ancestry Member Tree Citation Window and show where the information comes from, within FTM2017. The window on the Left is from the Ancestry Member Tree (AMT). The window on the Right is from FTM2017, Sources Workspace, the Edit, Source Template window. The First 4 items in the Template are included in the Source Information screen on the Left. The Comments that I put into the Source Template are included in the Source Information. I do not believe that the Source Comment that I have in FTM2017 should be included in the Source Information in that AMT. Secondly, you will note that the AMT calls for a Repository. A record from a Web Site should NOT have a Repository. An Online Record should be cited like a book. You can get that book almost anywhere, so NO REPOSITORY. I think this is very confusing for those who view the Citation in an AMT. For those who do there research in an AMT, will find that Ancestry.com will be listed as a Repository on this screen. To me, the presentation of the information in the AMT is "up side down". The information about the SOURCE should be at the Top of that window, not at the bottom. Continuing with the rest of the data in the Citation windows of the AMT vs the Citation in FTM2017. The Citation Text in FTM2017 is in the AMT Citation but is labeled "Transcription". That is totally wrong. I have marked that field as do NOT include that information in the Citation / Reference Note, so should NOT be uploaded to the AMT. Same as the Web Address. That is marked as NOT to be included in the Reference Note so should NOT appear in the AMT Citation screen. The lower left of the AMT Citation window has my Citation Notes information. That should NOT be included in the AMT Citation. Just trying point out where the information in the AMT Citation is coming from, when the AMT is maintained by FTM2017. These issues have been raised to both Ancestry.com and Family Tree Maker. I hope that FTM2017 will NOT publish to Ancestry, the fields that I have indicated and should be treated like a Privatized information. I understand that in some cases some information in the Citation Notes might be included in the AMT. Easy solution here, just have a privatized option for that Tab. For the Citation Text field and the Web Address Field, No Check Make, don't upload to the AMT. Because we have the option of having Multiple Name FACTs, I enter the names as I find them, Citing each entry, as I have mentioned many times before. The decision that has to be made, is WHICH Name Fact should be the Preferred Name Fact. I can't nor will I answer that question. That choice is up to YOU. But, don't make that choice lightly. Be sensitive of the audience of your research. More importantly, is the Parent to Child Relationships need to be appropriately selected, and the relationship between the Parents needs to be looked at very carefully. Your citations are very important and that the documentation needs to be specific as to the relationships it claims. I would keep ALL of the Name Facts as documents, then make the Preferred Fact Choice. Now that we have our Citations crafted, now it's time to Rate our Sources. This will help with the Genealogical Proof Standards. A high level view of the Sources Workspace. This is the first Workspace I go to when entering new information into my file.